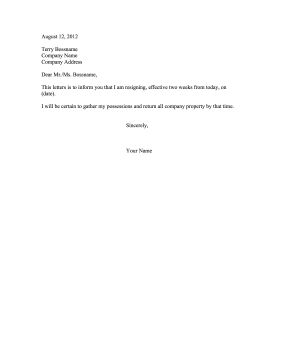 Give your two weeks' notice briefly and succinctly with this printable resignation letter. This letters is to inform you that I am resigning, effective two weeks from today, on (date). I will be certain to gather my possessions and return all company property by that time.